TURKEY - VATICAN Mgr. Padovese's driver charged with murder. Doubts about his "insanity"
Mgr. Padovese's driver charged with murder. Doubts about his "insanity"
Christian observers and ask that the investigators to delve deeper into the motives for the murder.. Several attacks against Christians in Turkey are the work of "young unbalanced men" The condolences of the Italian Bishops Conference and PIME. The funeral of Mgr. Padovese next week in Milan. Iskenderun (AsiaNews) - The driver of Mgr. Luigi Padovese, killed yesterday in front of his house in Iskenderun has been formally charged with murder by a Turkish court. The police confirm that the man, who for over four years was a close collaborator of the slain bishop suffers from mental disorders. But some doubts remain surrounding his illness and there have been widespread calls on the authorities to deepen their investigations into the motives for the assassination. Murat Altun, 26, was arrested yesterday, hours after the killing of the bishop. According to some witnesses the murderer was stilly carrying the knife with which he had butchered Mgr. Padovese. After hours of questioning, the police confirmed the insanity of Murat. AsiaNews sources had said yesterday that Murat was "depressed, violent, full of threats." But faithful and the Turkish world are still finding it hard to accept the thesis of mental illness, which only became evident a few months ago. Several attacks in recent years were committed by young people deemed "unstable" at the time but who later proved to have connections with ultra-nationalist and anti-Christian groups. To many observers it seems that governments, politicians, Turkish civil authorities are avoiding all serious analysis of these events. The risk is that these violent episodes will be merely brushed off with the excuse that they are the isolated acts of madmen, the casual gesture of an young Islamic fanatic. Among the "isolated acts" of unbalanced people are: the wounding of Fr Adriano Franchini, Italian Capuchin, Smyrna on December 16, 2007; Fr. 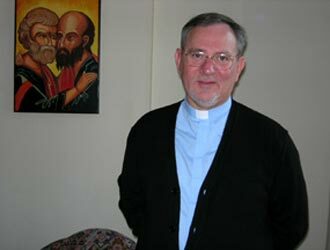 Roberto Ferrari, threatened with a kebab knife in the church in Mersin on 11 March 2006, Fr. Pierre Brunissen stabbed in the side, 2 July 2006 outside his church in Samsun. These three attacks were carried out without fatal consequences. This was not the case for Don Andrea Santoro, shot and killed Feb. 5, 2006 while praying in church in Trabzon; the same fate for the Armenian journalist Hrant Dink assassinated January 19, 2007 just outside his home in a crowded street in Istanbul. And the even more tragic death April 18, 2007 of three Protestant Christians, including one German, tortured, stabbed and killed while working in the Zirve publishing house in Malatya, which publishes Bibles and Christian books. Among Christians and some Turkish NGOs is the request that investigations do not stop at the arrest of a deranged turn, but dig deeper. Meanwhile, church figures are flocking to Iskanderun to express their condolences to the local church. The body of Mgr. Padovese was transferred to hospital in nearby Adana, for an autopsy. According to preliminary information, the funeral of Mgr. Padovese will be held in Milan, his city of birth, not before Wednesday, June 9. Among the first expressions of condolence – sent to the nuncio in Turkey, Mgr. Antonio Lucibello, are those of the Italian Bishops Conference. A message signed by Card. Angelo Bagnasco, reads: "While we deplore this barbaric murder, we join the pain of the local Church, which still is tried so very hard". Condolences have also been expressed by priests from the Pontifical Institute for Foreign Missions (PIME), in whose seminary Mgr. Padovese had been a professor. Fr. Mark Rebolini, who had visited the bishop in Turkey last summer, writes: "It is incredible to think about what happened to him .... a sense of profound sadness lingers in me because martyrdom .. is always a defeat for humanity, but in the logic of God it is a great gesture of love capable of healing many wounds. " Funeral of Mgr. Padovese. Murderer, "I killed the great Satan!"